Years ago, an exchange of cash was all it took for a customer to buy from a merchant. How things have changed! Today, most businesses offer their products or services on the Internet and clearly, they can’t be restricted to cash-on-delivery practices anymore. E-commerce has emerged as a lucrative channel for merchants to boost sales and grow their bottom lines. Many consumers have Internet access both at work and at home, and browsing an online catalog can be faster than browsing the aisles of a physical store and customers get the added convenience of shopping 24 hours a day, seven days a week. Merchants should understand the value of operating in multiple channels. For those who haven’t yet incorporated e-commerce into their business but want to, there is much to learn. They must educate themselves on how payment processing works in order to best accommodate their online shoppers and serve the needs of their business. Though paying for an online purchase takes just a few seconds, it involves a complex chain reaction of behind-the-scenes processes. Merchants can increase revenues and reach more customers by offering an efficient, successful e-commerce solution. This post examines what must be in place in order to complete a transaction that is both secure and offers superior customer service. What Makes an E-Commerce Solution Possible? In addition to the range of software and hardware that companies use to support the sale of products and services online, there are three vital components that make online shopping possible: the shopping cart, payment gateway and payment processor. Each is critical to ensuring successful implementation of e-commerce functionality. Shopping cart. 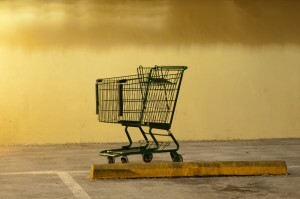 The shopping cart acts quite literally as a virtual shopping basket. It holds the items customers select from a Web site until they are ready to proceed to the checkout stage, where their credit card information will be processed. Payment gateway. In order to accept credit cards through the Internet, a payment gateway is critical to transport the credit card information from the shopping cart to the payment processor once the consumer clicks the “Buy” button. In most cases, this transaction happens almost instantaneously. The payment gateway receives encrypted transactions from the merchant’s shopping cart. An encrypted transaction simply means that credit card numbers can’t be read by people who are not supposed to read those numbers. Authentication is then provided and the decrypted payment information is transmitted for authorization. Payment processor. The payment processor transmits a customer’s credit card information via the Internet to the merchant bank for authorization. It also sends data back to the merchant’s bank to approve payment or the transfer of funds. With the shopping cart, payment gateway and payment processor in place, merchants have all they need to offer convenient e-commerce solutions that deliver superior security and service. With a little research and education, merchants can find the best providers to accommodate their business needs and those of their consumers. It just makes sense with online shopping projected to account for $963 billion dollars (according to Goldman Sachs) in retail sales this year. E-commerce provides merchants an opportunity to make more money and succeed in an increasingly competitive marketplace. This entry was posted on Friday, January 11th, 2013 at 4:21 pm	and is filed under Online Business, Online Business Advice, Website. You can follow any responses to this entry through the RSS 2.0 feed. You can leave a response, or trackback from your own site.